The hiccups are annoying. They come on quickly and refuse to go away. Just ask Elliot. There he was, having a nice picnic with his cousin Lutz, when he accidentally ate too fast. Now, he's stuck hiccupping around the forest, and Elliot's unbearable situation couldn't be any funnier to Lutz. As Elliot wanders around the forest, all the animals try giving him advice on how to get rid of his hiccups. Maybe holding his breath will do the trick? Or drinking lots of water? Or maybe doing a headstand? No luck. Just when Elliot has all but given up, Lutz unexpectedly stumbles upon the cure. But will Lutz learn his lesson about not making fun of his friend's hiccups? 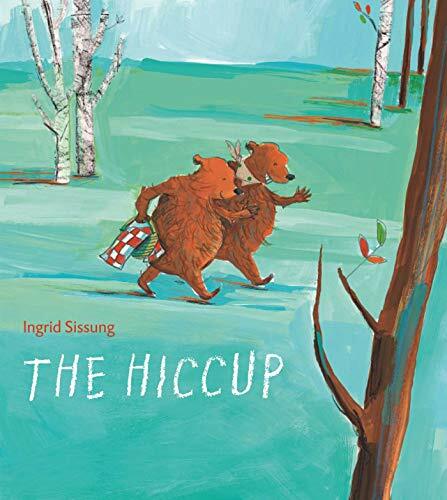 Ingrid Sissung's humorous story and vibrant illustrations in The Hiccup remind readers of all ages to show sympathy to others in a tough situation, because what goes around comes around.